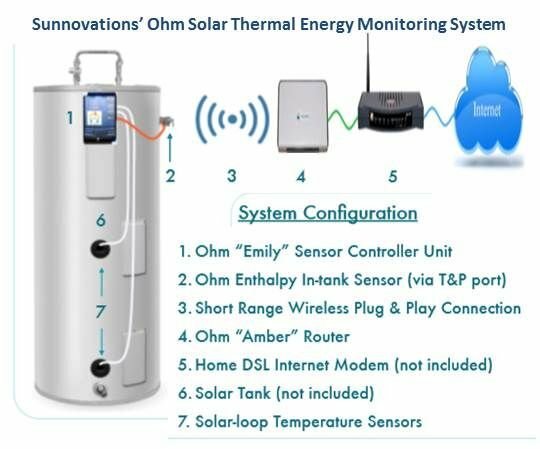 Will Sunnovations’ Monitoring System Boost the Prospects of Solar Hot Water? With the help of accurate monitoring, solar thermal could finally catch up to PV. 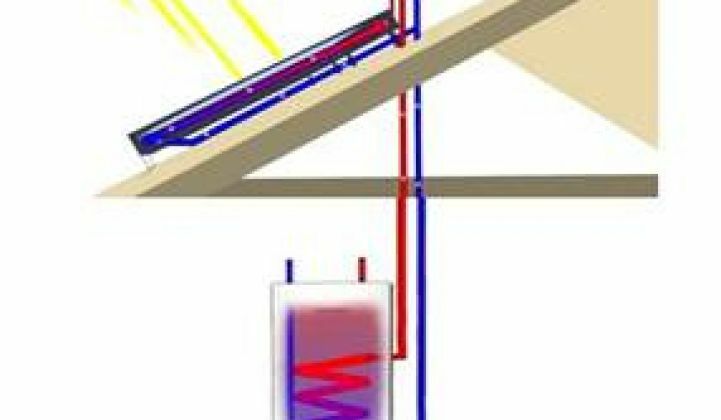 A new device from Sunnovations that measures and displays the value of solar water heating (SWH) systems could finally help installers crack the residential market. 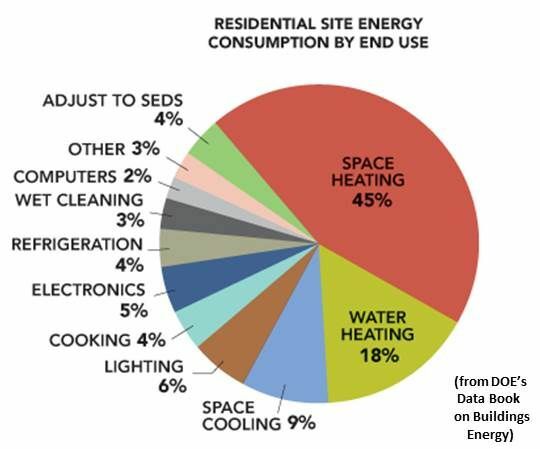 The value proposition in SWH has been measured and validated in multi-resident and commercial buildings, because the $1,100+ cost of the device needed to do the measuring is only perhaps 4 percent of a large system cost, according to a Massachusetts Clean Energy Center study. Because usage and production can be monitored, companies like Skyline Innovations and FLS Solar can offer third-party ownership financing of SWH systems through power purchase agreements (PPAs) that allow commercial consumers relief from upfront costs and ownership responsibilities. But that same device increases the price of an $8,000 residential SWH system to over $9,000, not counting the cost of installing, maintaining and reading it, Sunnovations CEO Matt Carlson said. That is why monitoring is included in less than 5 percent of U.S. systems. The Massachusetts study did note, though, that where monitoring of SWH systems is accurately done, it shows that they produce 80 percent to 110 percent of what they promise. This suggests the value proposition for residential SWH systems is clear. Because heating water accounts, on average, for 18 percent of a single-family home’s energy use, Carlson believes that when homeowners are able to see on the web-based dashboard exactly how much they are saving with their SWH systems, it will be a game-changer. Other marketplace disadvantages that Sunnovations and competitors like Alternative Energy Technologies, SunEarth, SHUCO and Solar Hot face is that, unlike solar PV, there is no grid to which to send excess production, and there are few incentive programs that ease the upfront cost burden. Though SWH technology is much older than PV, with patents as far back as the 1890s, the U.S. industry is growing much more slowly. And while the U.S. is among the world leaders in most renewable technologies, its SWH industry had only 2.3 gigawatts-thermal in 2010, while China had 118 gigawatts-thermal and the world had built about 185 gigawatts-thermal. The U.S. market is five times bigger than it was in 2005 and growing at 6 percent annually, according to recent SEPA statistics. Carlson said the Ohm system will be more easily installed and more reliable than the 338 flow meter-based monitoring units tested and then removed by Orlando Municipal Utility because of a 31 percent fail rate. More than half of that fail rate, Carlson noted, was due to installer error. Although Sunnovations’ Ohm system has had limited field trials, preliminary independent testing by TUV Rheinland has shown a 98 percent system accuracy, according to Carlson. Wires run into the hot water tank connect to the Ohm sensor mounted in a valve at the tank wall. Typical computer cables connect the sensor to a modem’s USB port. The modem send’s data wirelessly for display on the web dashboard. On the dashboard, a homeowner can see the hot water in the system heated by the solar system and from whatever auxiliary heating source (gas, electricity, oil, etc.) on which the home relies. It also shows the total hot water use, how much solar heated water is available, and how the tank is performing. There are approximately 100 million residential water heating systems in the U.S., according to Carlson, and just over half have natural gas water heating systems with which, at today’s very low natural gas prices, SWH cannot compete. The rest use electricity, fuel oil or propane. That is an addressable market of nearly 50 million homes. “There are probably six things that need to be solved to make SWH a mass market technology in the U.S.," Carlson said. "This isn’t a panacea, but it is an important piece of the puzzle."